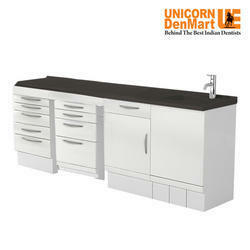 Prominent & Leading Distributor / Channel Partner from Delhi, we offer straight dental cabinet and mobile dental cabinet. We are offering Straight Cabinet to our clients. Mobile Dental Cabinet is a movable cabinet designed for those dentists who have low space in their clinic and can't install the big cabinets in their clinic.